Our Approach. GPS Consultants, LLC is committed to providing a road map to becoming more profitable with less effort by guiding your management team into the technology era. Our focus is to enhance established procedures, identify the root cause of transactional abnormalities, and convert tedious manual processes into more efficient procedures using cutting edge GPS technologies. This approach will enable organizations to detect and reduce transactional abnormalities and automate preventive and detective routines for real-time exception monitoring. Through our extensive experience with automating business processes, we believe we can achieve this mission and truly add value to organizations. We will provide high quality, innovative services at a fair and competitive price. Cutting Edge GPS Technology. 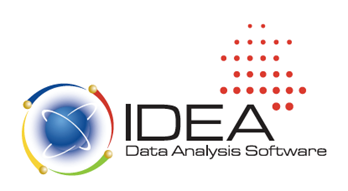 Our key differentiator is our ability to leverage advanced data analysis technologies which enable organizations to reduce time and money spent on projects. GPS can assist management with the implementation of continuous monitoring solutions that will enhance business intelligence and data mining activities. Our solutions will allow management to continuously monitor and analyze transactional abnormalities using existing company data. Internal controls and critical processes can be monitored to confirm adequate performance. Automating routines will allow for timely detection of costly errors providing a better opportunity to prevent and detect fraud, waste, and abuse. Information from non-integrated systems can be linked, analyzed, and reconciled to resolve discrepancies. As a result, decision making ability is heightened as relevant data will be available sooner allowing more focus and effort on resolving transactional abnormalities in a real-time monitoring environment. Energy. Our vibrant team can provide a fresh prospective and approach to your organizational needs. We believe in servicing your organization with our full commitment, focus, and attention.